Something clicked the first time I heard the statement that parents are their children’s first teachers. It was my greatest takeaway during my Kindermusik educators’ training more than three years ago. Being a hands-on mom (of the obsessed variety at that), the notion immediately resonated with me. I suddenly had a context for all the things that I had been doing with my daughter, which were deemed by some family and friends as “over-the-top,” but which felt so natural to me. Perhaps, the time, attention, and effort I put into my activities with my child seemed “too much” to some. In my heart though, I was just being supportive and responsive to my infant’s developmental needs. I was being her first and best teacher. I have since made it my personal mission to help other parents, especially first-timers, gain confidence and find inspiration in their role as the most important teacher in their children’s lives. 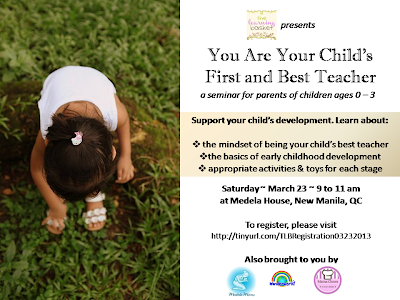 I warmly invite you, especially those with newborn to three-year-old children, to a talk that I will be giving called, you guessed it, “You Are Your Child’s First and Best Teacher.” It will be on March 23, from 9am to 11am, at Medela House. Details are on the invitation below. 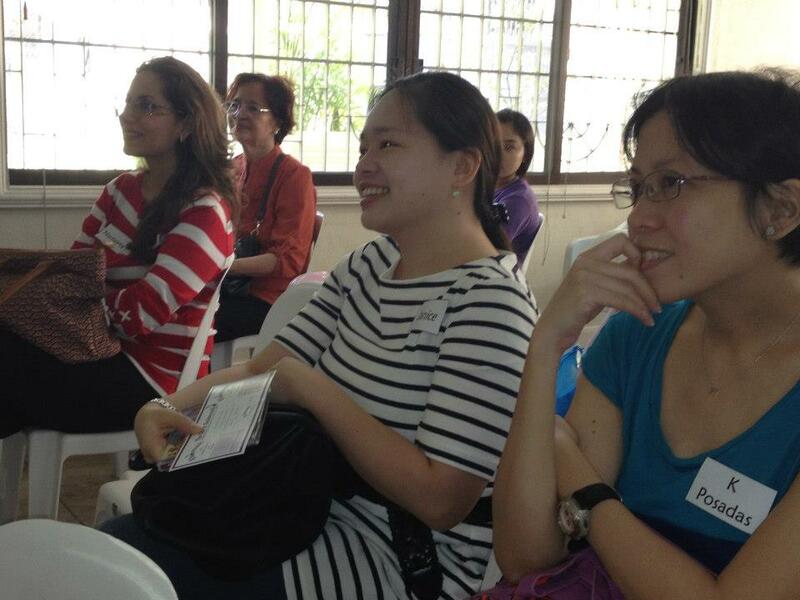 I first gave this talk in September 2012 as Medela Moms’ first offering under their customer loyalty program. It was a great group of engaged parents! Registration is P250 but will be waived if you buy a minimum of P500 worth of books or toys from our booth during the event. You will be adding to your children’s library/educational materials and supporting our cause too! 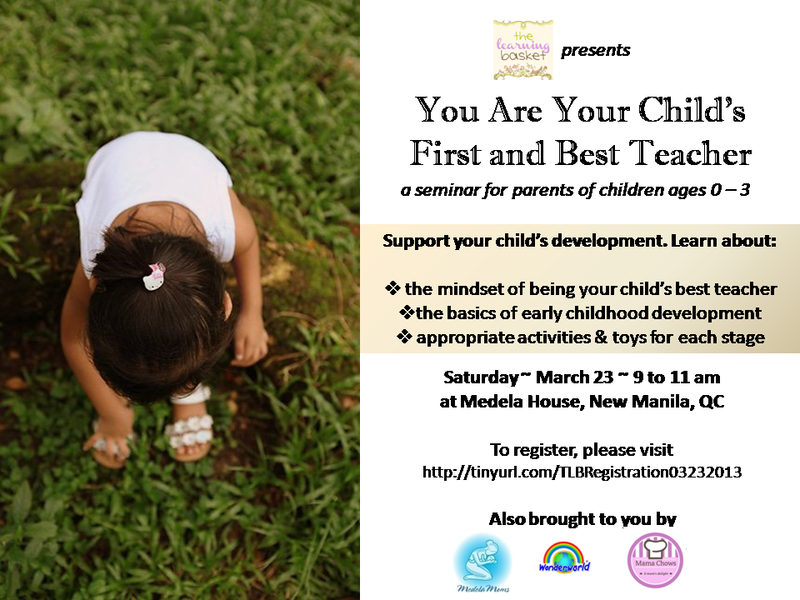 To register for the event, kindly fill up the form on this link. 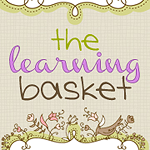 For questions, don’t hesitate to leave me a message in the comments or email me at mariel (at) thelearningbasket (dot) com. can i attend with my 1 yr old?